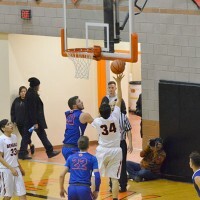 The Gallup Bengals dug in defensively long enough to hold off a scrappy Los Lunas team and beat the Tigers 50-38 Dec. 21 in a boys prep basketball game played at Gallup High school. The Bengals (6-4) never trailed in the contest, which saw Los Lunas (8-2) make several runs at trying to either tie the game or get ahead. The Tigers started two versatile big men, which gave Gallup trouble. But by the same token, Gallup’s Josh Lynch was agile enough to get free for inside points and rebounds to maintain scoring edges. 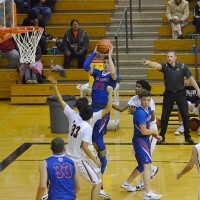 Lynch led Gallup with 20 points in the game. Gallup scored first on a left side drive by sophomore guard Quincy Smith. 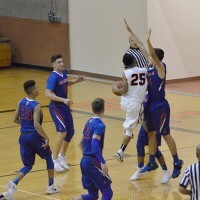 Los Lunas experienced trouble handling the speedy Smith who scored seven of Gallup’s first 11 points and was able to decoy himself for points scored by other Gallup players. The Tigers ultimately put the clamps on Smith, but to see other Gallup players step up. Smith’s early scoring deluge was limited to the first quarter, only to pave the way for junior forward Josh Smith. The bulky Lynch, listed as 6-feet-1 and 202 pounds, got free inside often and the Tigers’ big man duo of junior forwards Zanen Zeller and senior center Sebastian LaLonde just couldn’t keep up with Lynch. The decision by Gallup coaches to keep Lynch in the game for long periods of time proved wise. Lynch put up a game high 20 points and was everywhere in the third and fourth quarters. 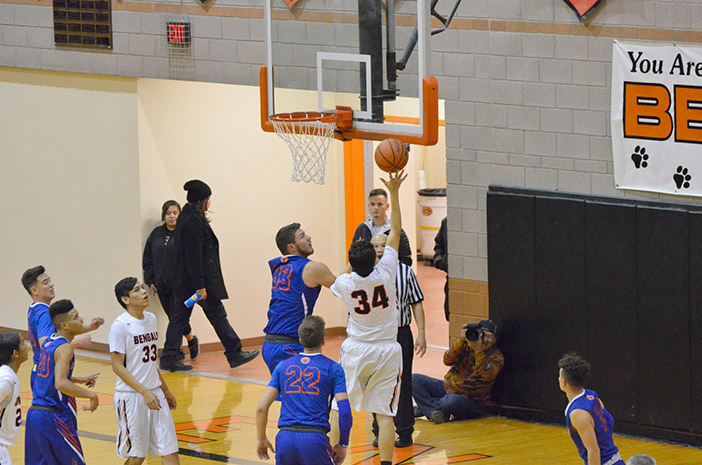 The fact that Gallup’s guards were helping out defensively on the Los Lunas big men was a plus, too. The game was a pleasant outcome for Gallup, which gave up 92 points a few days earlier in a loss to Piedra Vista. Prior to the Piedra Vista game, Gallup dropped games to Rio Rancho 69-45, to St. Pius X 77-55. 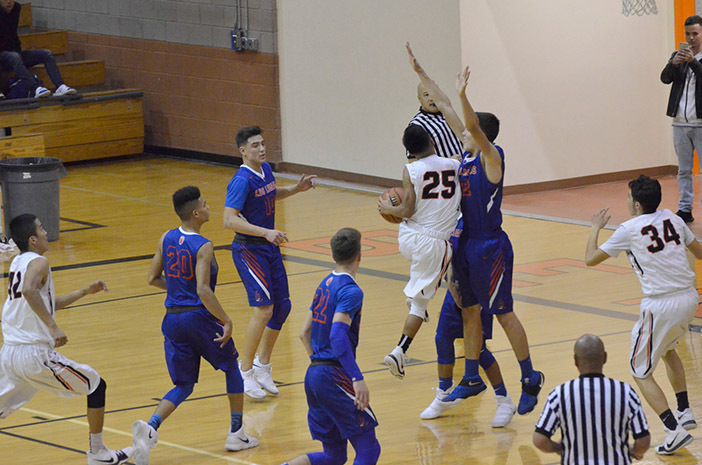 “Get back, get back,” Gallup head coach James Voight instructed plyers during fast break attempts by Los Lunas. “Rebound. Rebound. Box out,” Voight said several times when Gallup was on the defensive end. Smith ended the game with 9 points, all scored in the first quarter. Julian said a stepped up defensive effort by the Tigers helped limit Smith on offense after the quick first quarter start. 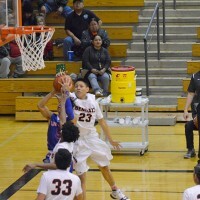 Junior guards Tyrell Begay and Seth Manuelito for Gallup were instrumental in hitting shots for the Bengals and making steals down the stretch in the latter two quarters. 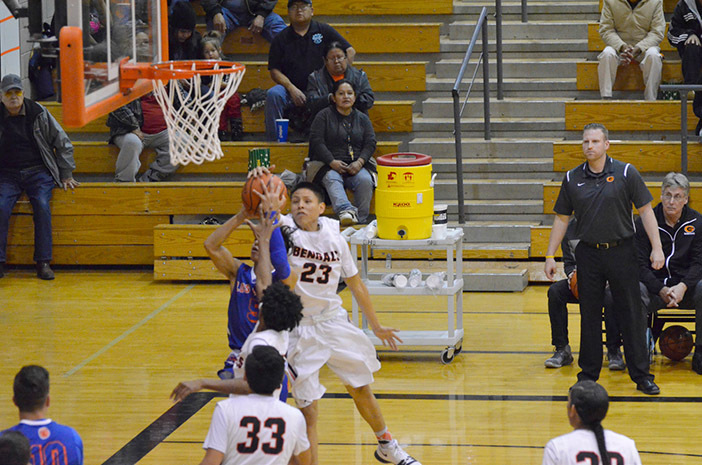 The Bengals took a 23-18 lead into the locker room a halftime and built on that in spite of runs by Los Lunas. When Manuelito hit a twisting left-handed scoop shot with 3:17 left in the third, it was apparent that Gallup wasn’t giving up a lead that they’d capitalized on the entire game. Zeller scored 14 points in the loss. 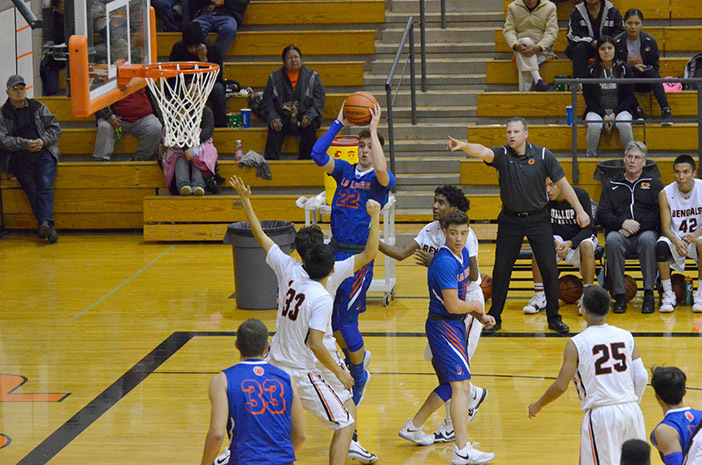 Lynch scored Gallup’s final two baskets and got to the foul line a few times in the last few minutes of regulation. The Bengals hit 12 of 15 foul shots. Gallup takes on Lovington (5-6) on Dec. 28 in an away game in Roswell.